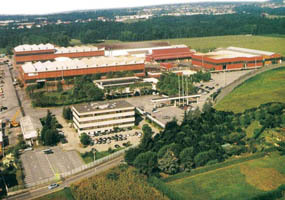 FBM Hudson Italiana SpA, founded in 1941 is a renowned manufacturer for air cooled heat exchangers, process gas waste heat recovery systems, heavy duty heat exchangers and special shell & tube heat exchangers such as threaded, flanged & ring locked closures heat exchangers and special equipment such as ammonia reactors, urea strippers, methanol converters, Cr-Mo alloy reactors, etc for the oil, gas, petrochemicals and desalination industries. The company is a leading manufacturer holding long and reputable track record in thermal design for air cooled heat exchangers, process gas waste heat recovery systems, and shell & tube heat exchangers. With experience spanning over 60 years, the company is acclaimed as one of the world’s largest suppliers of air cooled heat exchangers, process gas waste heat recovery systems, threaded, flanged & ring locked closures heat exchangers and other heavy duty shell & tube heat exchangers.